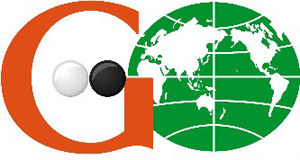 International GO Federation (IGF) | Uniting seven federations of the traditional mind sports : Chess, Bridge, Draughts, Go and Xiangqi with over 500 National Associations and close to one billion players. For 4000 years the sport of Go has fascinated tens of millions of people. Rooted in the culture and history of Korea, China and Japan, and recognized as a powerful educational tool, Go is now conquering the world. The International Go Federation (IGF), founded in 1981, unites the ever increasing number of Go fans in the 68 member countries. At the GAISF General Assembly in Seoul the IGF applied for full membership. Go originated in South-East Asia, and the majority of Go players and fans will be found in that area. Private initiative characterises the organisation of Go which explains the strong ties with the media and business. GO is well recognized by Asian people & institutions. In China, the government strongly supports the organisation and promotion of Go. In Japan, Go is recognised as an instrument contributing to key elements of human life, such as young people’s education, leisure activities, mental care for the aged, promotion of culture. In Korea the demand for Go is rising rapidly. A number of Korean youngsters are the top players in the world. They are role models for the Korean youth. In many schools Go is part of the curriculum. Many Go teachers and promoters have travelled around the world and popularised the game of Go. 15 Chinese television networks. Go broke the record of TV viewers on CCTV. 3 Korean TV channels are dedicated solely to GO. Japan’s National Station (NHK) organises a tournament running throughout the year which is broadcast for two hours every Sunday, attracting a very large audience.